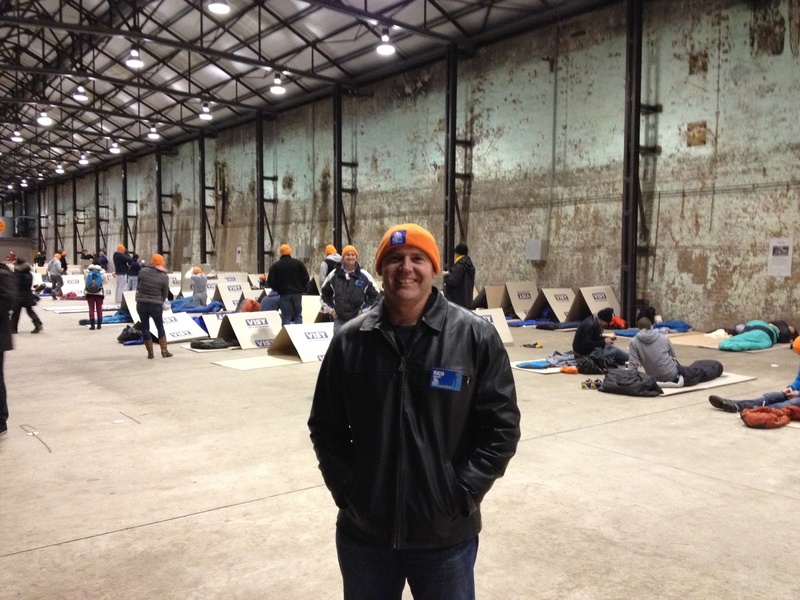 Last night Thursday night I joined over a thousand other business leaders across Australia for the 2013 Vinnies CEO Sleepout. 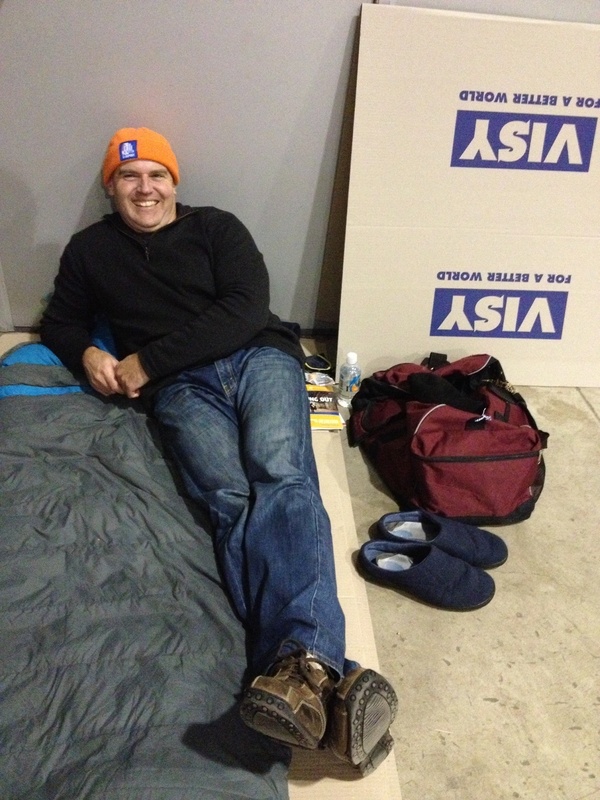 Armed with nothing more than a sheet of cardboard and a sleeping bag, we slept out to get just a glimpse of what thousands of Australians, who have nowhere to call home, experience every night. As I am in the business of finding homes and putting a roof over people’s heads, it is highly appropriate that I support the great work that St Vincent de Paul are doing to provide crisis care, counseling and support to get people back on their feet. We heard moving stories from ordinary people with families and well-paying jobs that experienced depression or sickness or other unfortunate events that sparked a downward spiral that ended up as homelessness. Patu bravely shared his story about his battle with depression which led to alienation from his family, to divorce, a gambling addition, then losing his job, home and all possessions. St Vinnies helped him get off the street and on the path to recovery and restoration with his family. The real life stories from people who have experienced homelessness and the feeling of sleeping out in the cold will stay with me a long time to come. I now realise that homelessness can happen to anyone, it only takes a few bad turns in life. 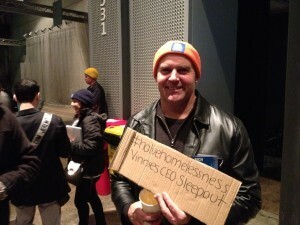 Homelessness doesn’t discriminate. I also realise how important the funds I have raised are for Vinnies to continue to provide real solutions for people experiencing homelessness. 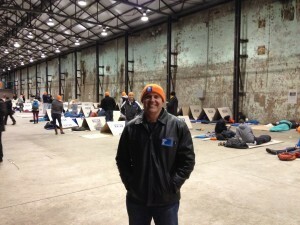 It was great to see so many CEO’s get behind this worthy cause and all wearing bright orange beanies and casual clothes which was real leveler. Despite being a fashion faux pas the beanies kept my balding head from freezing during the night.